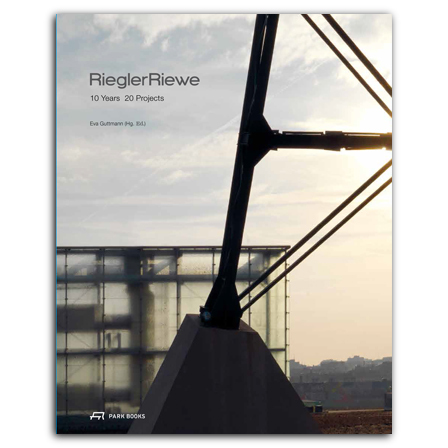 Florian Riegler and Roger Riewe founded the architectural firm Riegler Riewe in Graz in 1987. In the more than twenty-five years since, it has grown to become one of the most distinguished and internationally renowned Austrian architectural firms, with branches in Berlin and Katowice. The firm designs and builds with a focus primarily on the use to which a building will be put—but they are careful to nonetheless keep the actual spaces and presentation of their buildings neutral. This new book offers an in-depth look at the work of Riegler Riewe, presenting close looks at buildings and projects from the past ten years, built on a number of rarely seen images and plans and supplemented by essays analyzing the work in the contexts of both architecture and urban planning. is a professor of architecture and urban planning at Politecnico di Torino. He has also been editor in chief of Casabella magazine. architect, lectured at the Graz University of Technology from 2009 till 2014. She writes about architectural and urban theory issues, in particular dealing with public space regeneration in the aftermath of political transitions and self-organized urbanism. is a freelance architectural scientist and publicist in Vienna who has had numerous publications and has held many lectures. is director of Hamburgische Architektenkammer and professor of architectural theory at Hamburg's HafenCity University. architect, since 2012 assistant at the Institute for Architectural Engineering, Graz University of Technology, with special focus on design and structure.